Under Google's leadership, Motorola was perhaps the best manufacturer when it came to Android updates - besides Google, of course. They often released Android updates for unlocked devices at the same time as, or shortly after, Nexus devices. Unfortunately updates don't seem to be much of a priority anymore, with Lenovo now at the helm. The Moto Z Droid and Z Droid Force, the Verizon-exclusive models of the Moto Z, started to receive Android 7.0 in November. For an unknown reason, the normal unlocked Moto Z sold in the United States was left out - even while unlocked models in other regions received Nougat. Some suggested that Motorola had a timed exclusivity deal with Verizon in the United States, and while it seems plausible, it was just a theory. 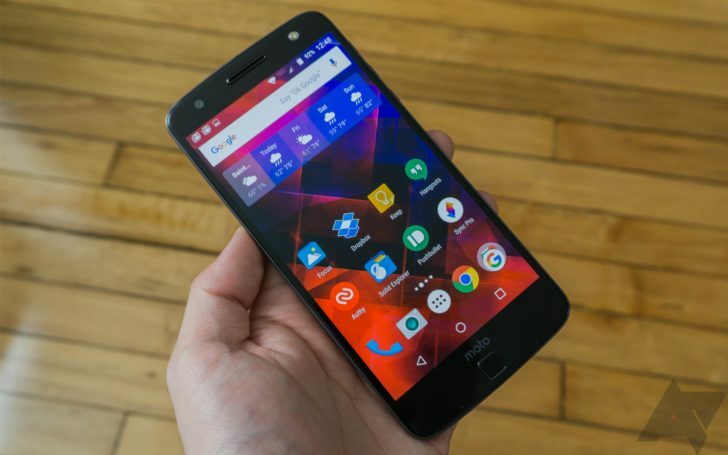 Motorola later promised that the unlocked Moto Z would receive Nougat in February, with the Moto Z Play and Z Play Droid Edition following in March. Moto seems to be following through on its promise, as the update has started to hit some devices already. Of course now Android 7.1.1 is the newest version, with 7.1.2 on the way, but at least this is something. Let us know in the comments if your unlocked Moto Z has the update. Republic Wireless claims that Android 7.0 is currently in a soak test for unlocked Moto Z models, with the full rollout expected on February 14 if no problems arise.